A Mormon motorcycle club is holding its biennial gathering in southern Utah, where about 125 members from across the country are riding together through scenic parts of the region. The Temple Riders are celebrating the club’s 30th anniversary through Wednesday with the “Color Country ‘n’ Spires” rally, The Spectrum reported . A highlight of the rally, which began Friday, is when the group stops at Bryce Canyon National Park and takes part in community-based service projects and regular park duties, Howell said. The group rode through the area Saturday and has another organized ride scheduled for Tuesday. The riders plan to break up into smaller groups to keep from imposing on drivers along the route. 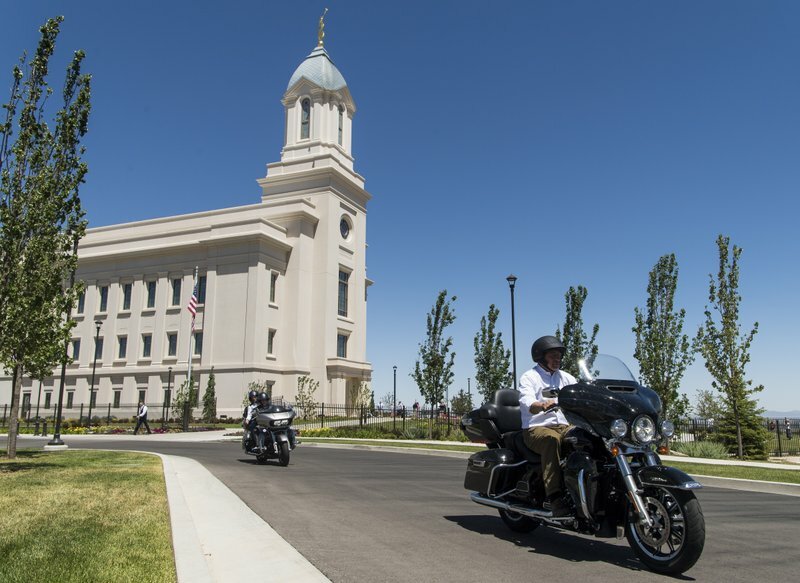 The club was founded in 1988 by two couples who are members of The Church of Jesus Christ of Latter-day Saints who wanted to enjoy the freedom of motorcycling without the typical “biker” image. The Temple Riders Association boasts more than 500 members and 22 chapters nationwide, with more chapters forming in other countries, Howell said.